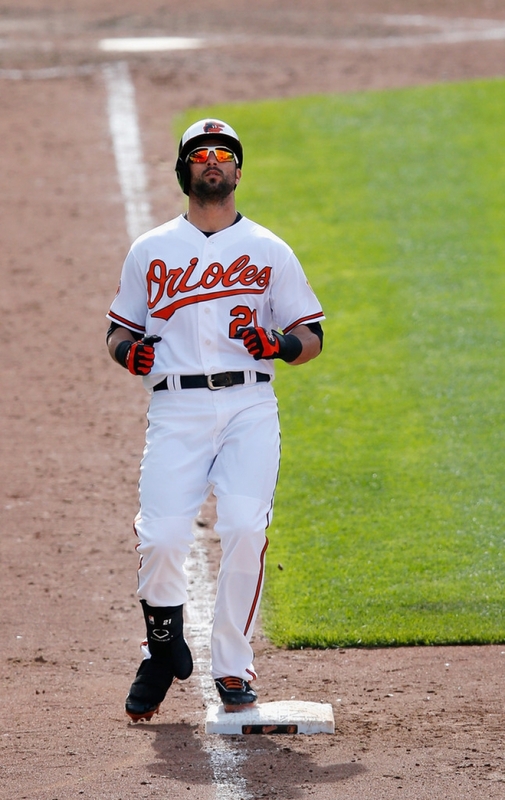 Nick Markakis #21 of the Baltimore Orioles reacts after grounding out for the third out of the seventh inning against the Los Angeles Dodgers at Oriole Park at Camden Yards on April 21, 2013 in Baltimore, Maryland. The Dodgers won 7-4. - high-definition photo for free download.